Interacting with millions of people each and every day, we have a big impact on the world around us. In fact, we believe that our journalism and marketplaces are important cornerstones for building a sustainable society – and we take that responsibility very seriously. How we think about our impact comes from an analysis carried out by the Responsible Media Forum, of which Schibsted is an active member. 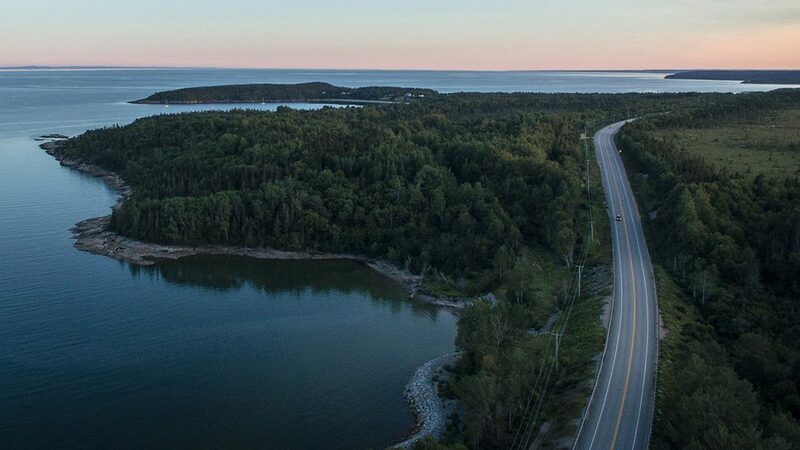 We’ve also incorporated sustainability reporting recommendations from the Sustainability Accounting Standards Board in the US. Based on our stakeholder dialogues and impact analysis, we’ve defined our own materiality analysis matrix. 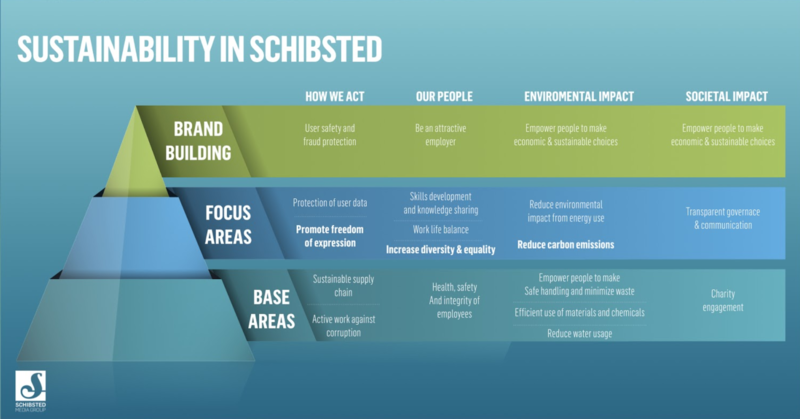 Pictured in the pyramid below, it forms the basis for all sustainability strategy and reporting at Schibsted.